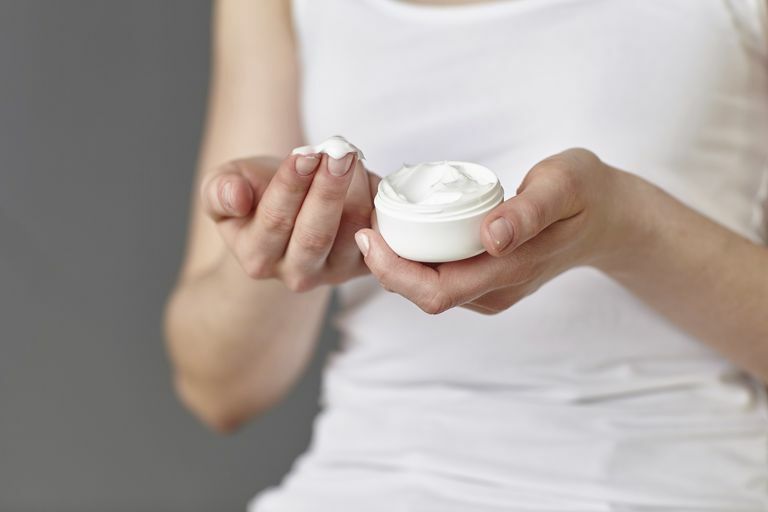 There are many different factors to consider when choosing an anti-itch cream. One big factor is the precise cause of your itch, as pruritus can be caused by a number of conditions like allergies, hives, psoriasis, and eczema. The bottom line is that getting to the root cause of your itching is imperative, so be sure to speak to your doctor before purchasing an over-the-counter cream. Topical steroids are the best choice of anti-itch cream. They are available in a variety of strengths and formulas and can be purchased over the counter as hydrocortisone cream. Overall, ointments and creams are the strongest topical steroids while gels and sprays are the weakest. It's important to understand that topical steroids should be used with caution and generally under the guidance of a doctor. While topical steroids have fewer side effects than oral steroids, they need to be used appropriately. Topical steroids are intended for short-term use and may cause problems if overused, including the thinning of the skin (skin atrophy), stretch marks (striae), and enlarged blood vessels (telangiectasia). Lower-dose formulations can reduce the risk of side effects. Additionally, how much you use can make a difference. In some case, you won't need much if the cream absorbs easily. Other people need more because their skin is not all that absorbent. For children, it's important to talk to your child's pediatrician before applying a topical steroid. Children are more prone to the adverse effects of topical steroids, so weaker topical steroids, like gels and sprays, should be used if possible. In addition, topical steroids, like Cutivate (fluticasone) and Elocon (mometasone furoate), may be safer for kids since less of the steroid is absorbed. Cutivate is also the only FDA-approved topical steroid for children three months and older. Antihistamines are a common medication used to treat allergies. In most cases, antihistamines are taken orally to relieve symptoms of an allergy attack. These types of anti-itch creams may also be helpful in treating eczema. The drugs work by suppressing a chemical known as histamine which the immune system produces when confronted with an allergen (allergy-causing substances). If an itch is related to an allergy, the topical cream can be absorbed in the skin and prevent histamine from causing the swelling and inflammation that can trigger pruritis. Topical antihistamines, such as used in Benadryl cream or Caladryl lotion, should be applied sparingly since their prolonged use may lead to the development of a hypersensitive reaction to oral versions of the drug. Topical anesthetics are typically used to numb areas of pain. Some anesthetics, such as found in Lanacane cream (benzocaine), can cause contact dermatitis. Topical anesthetics work by blocking sodium channels in the nerve fibers of the skin, which prevents the transmission of pain signals to the brain. While topical anesthetics may offer benefits, especially for treating dental pain or numbing an insect sting, they are not generally used for treating itchy skin. If you are using an over the counter anti-itch cream and your itching persists without relief, speak to your physician. There may be a stronger prescription-strength medication that may help or an underlying cause that needs to be treated before symptoms can be relieved. It's also wise to inquire about the cost of the topical agent you will be using. Topical steroids can be quite expensive as insurance does not always cover them. Generic and over-the-counter topical steroids tend to be the least expensive. American Academy of Dermatology. (2016). Topical Dermatologic Therapies. Basic Dermatology Curriculum. Schneider L et al. Atop dermatitis: a practice parameter update 2012. J Allergy Clin Immunol. 2013 Feb;131(2):295-9.e1-27.